This is a pair of ospreys, who mate for life, repairing their nest, which is used each year. 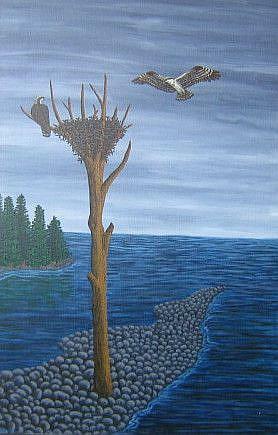 The nests often get quite large with all the work done on them over time. I imagined a day when spring is only a distant idea, but the birds prepare for the chicks to come.